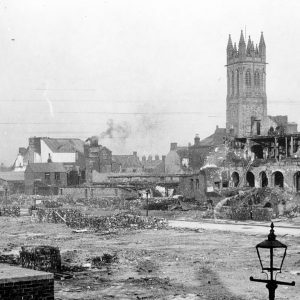 In relation to the Belfast Blitz, PRONI resources are available which tell of the impact and aftermath of the Luftwaffe bombing from different perspectives. The Public Record Office of Northern Ireland (PRONI) is the official archive for Northern Ireland. 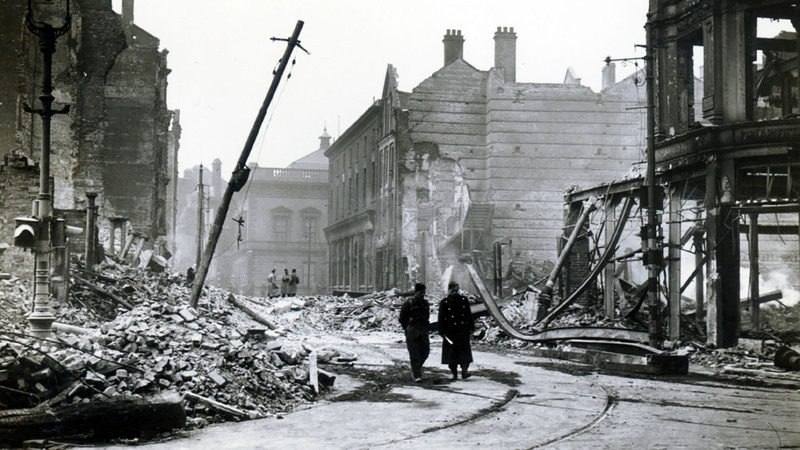 Among the archives, you will find many files, reports, and documents relating to the Belfast Blitz. 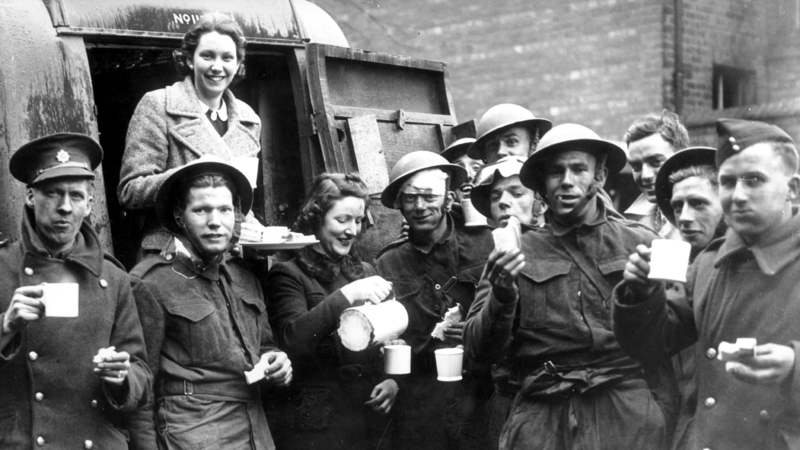 Below is a list of some Belfast Blitz PRONI resources you may find helpful when researching the events of April and May 1941. 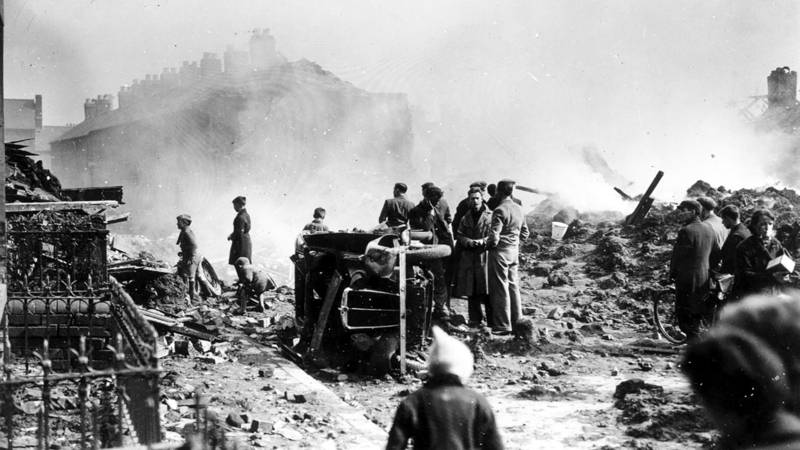 This report is a detailed description of the damage caused in the docks area of Belfast during the April 1941 Belfast Blitz. It deals with the impact of the Luftwaffe attack on Harland and Wolff Shipyard and the Short and Harland Aircraft Factory. Content of this PRONI resource dates from 1941. This document details the origins of various Civil Defence organisations in Northern Ireland. 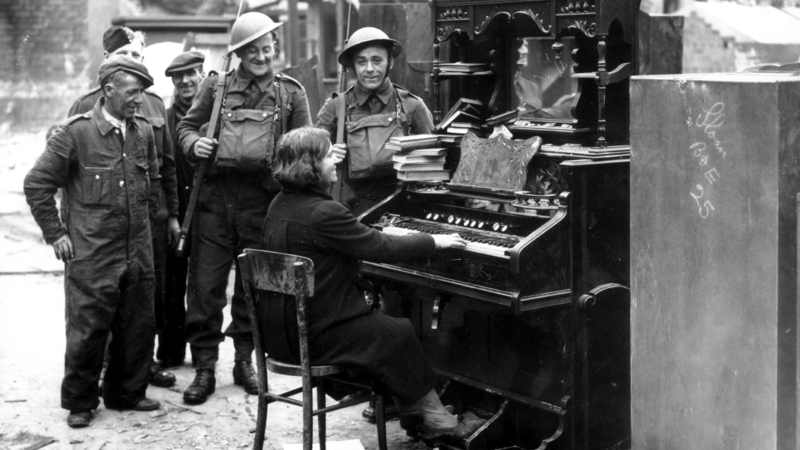 You can learn about the establishment of Air Raid Precautions (ARP). This file also describes evacuation procedures and emergency medical provision. Content of this PRONI resource dates from 1936-1940. 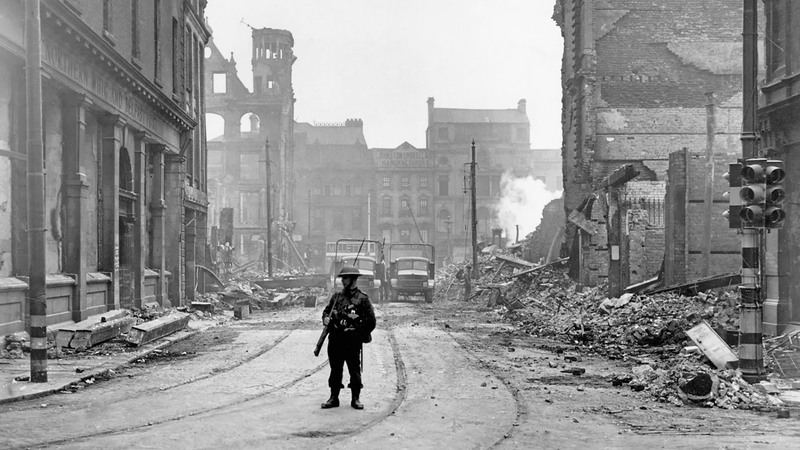 This file is a detailed report on the Luftwaffe Raids that became known as the Belfast Blitz. 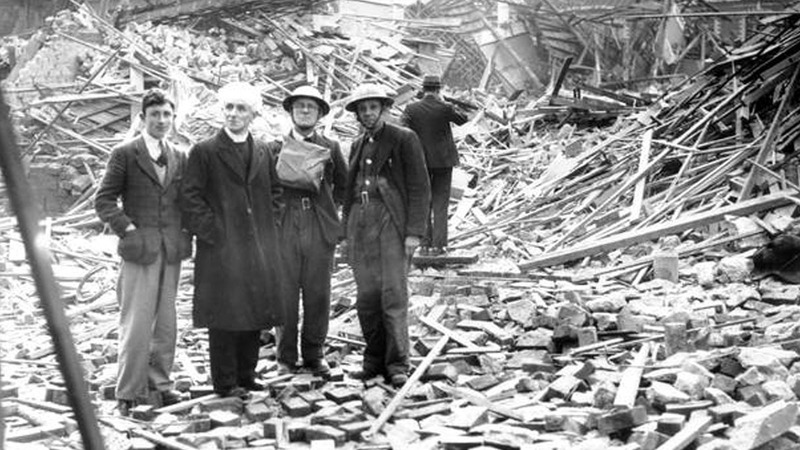 Documents include photographs, newspaper cuttings, and a map of areas affected by the bombing. Content of this PRONI resource dates from 1941. PRONI Photo: A map of Belfast from after 1941 showing the main areas affected by Luftwaffe bombing during the Belfast Blitz of April and May 1941. 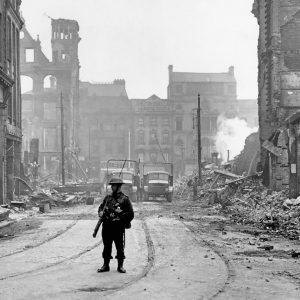 This Ministry of Public Service file contains intelligence reports relating to the Belfast Blitz. 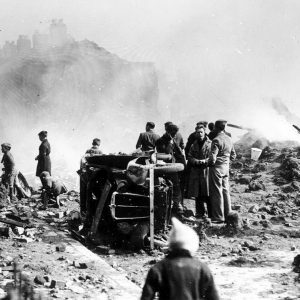 Documents contain summaries of the Luftwaffe raids of April and May 1941. Content of this PRONI resource dates from 1941. 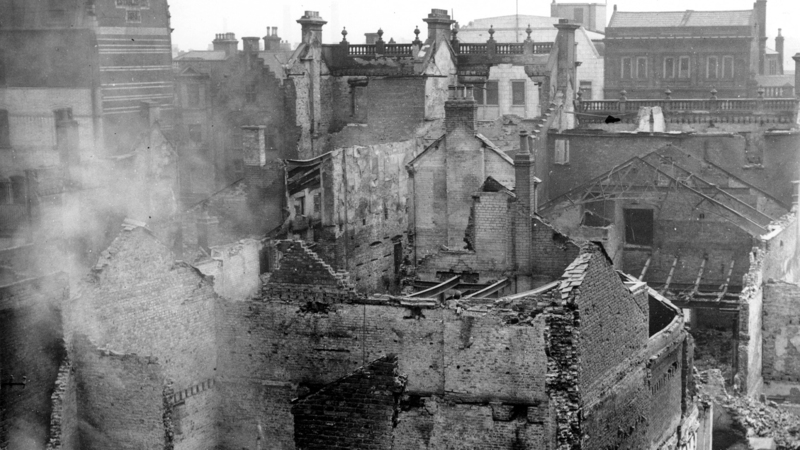 This National Defence file from the Ministry of Home Affairs outlines action to be taken after the Belfast Blitz. It discusses coordination of war effort between various organisations and talks about the Hiram Plan. Content of this PRONI resource dates from 1941-1944. 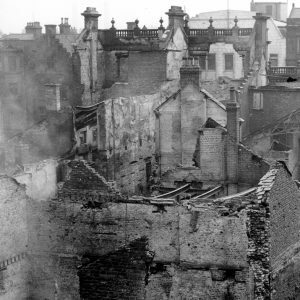 This is a Ministry of Home Affairs National Defence file that reports on the damage caused by the Luftaffe raids on the city during the Belfast Blitz. Content of this PRONI resource dates from 1941. This file contains the casualty lists in the aftermath of the air raids on Belfast, Co. Antrim between 7th April 1941 and 5th May 1941. Content of this PRONI resource dates from 1941. 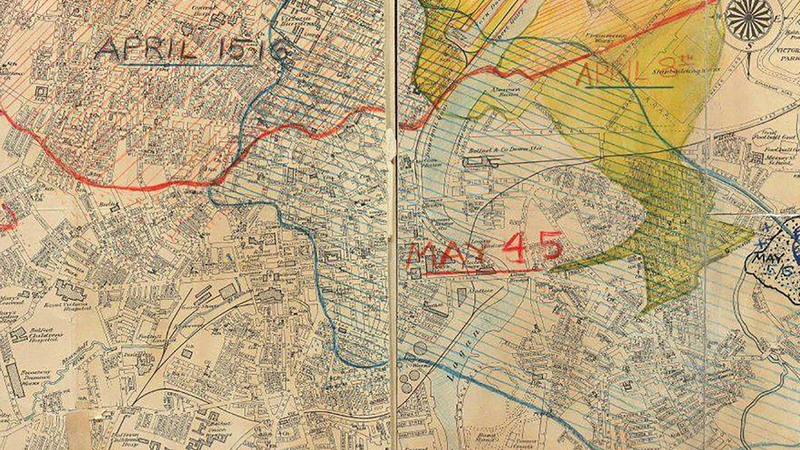 The Public Security War Room War Diary records details of warning messages received. 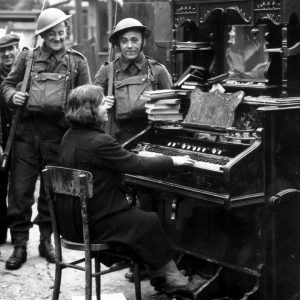 You can also find out opening and closing times of the War Room, details of staff and records of messages sent and received. Content of this PRONI resource dates from 1941-1944. This document from the Ministry of Public Service documents the role of the Women’s Voluntary Services. Content of this PRONI resource dates from 1941. This file comes from the Ministry of Home Affairs. It contains cuttings from local media and national newspapers on all publicity surrounding the war effort. Content of this PRONI resource dates from 1940-1945. This collection contains a pair of aerial photos of Belfast, Co. Antrim showing potential Luftwaffe targets. The photographs are of Harland and Wolff Shipyard and the Belfast Corporation Electrical Works. Content of this PRONI resource dates from 1941. 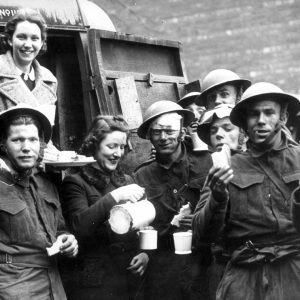 The private diaries of Voluntary Aid Detachment nurse Emma Duffin describe the scenes after the air raids. Her writing tells of the temporary mortuary in place in St. George’s Market, Belfast, Co. Antrim following the Easter Tuesday raid. Content of this PRONI resource dates from 1941. A private donation to the Public Records Office of Northern Ireland from William War of Whitewell Road, Belfast, Co. Antrim. Entitled ‘St. Ninian’s Church: Notes of Air Raids, Eastertide 1941’, this notebook describes the air raid of 15th-16th April 1941 and its impact on the area. Content of this PRONI resource dates from 1941. 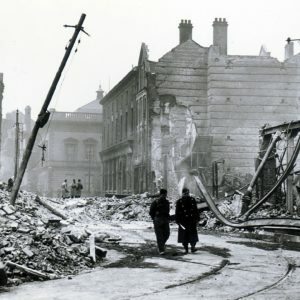 The book ‘Bombs On Belfast 1941’ contains a vast number of photographs taken by the Belfast Telegraph newspaper in the immediate aftermath of the Belfast Blitz of April and May 1941. Content of this PRONI resource dates from 1941. This file is ‘Easter Tuesday at Veryan Gardens, April 15th-16th 1941’. This records the Easter Tuesday air raids and their immediate impact on the Veryan Gardens area. 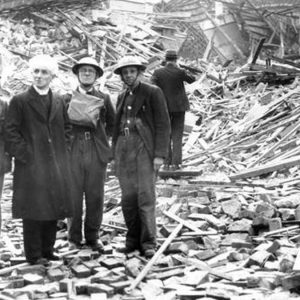 The author was Mr. Alfred Ambrose, a Senior Air Raid Warden from Whitewell Road, Belfast, Co. Antrim. Content of this PRONI resource dates from 1941. 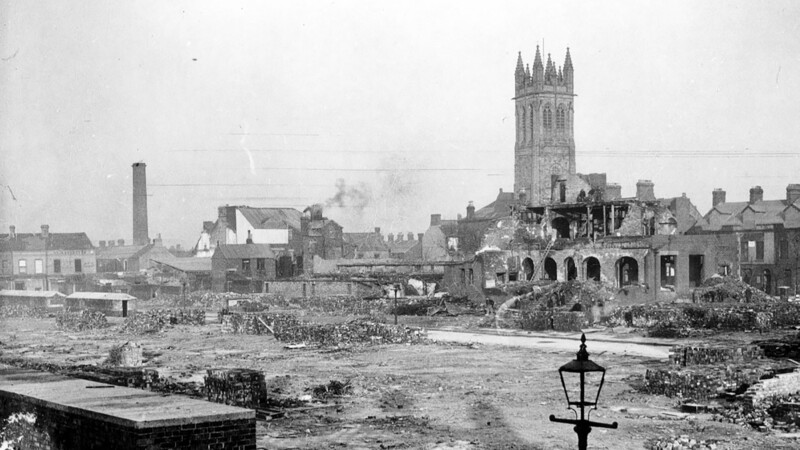 If you enjoyed this post on "Belfast Blitz: List of PRONI resources", please share with your friends and followers.